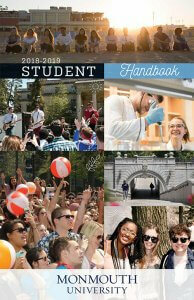 Monmouth’s Student Handbook is available online in PDF format. You will need Adobe Reader to view this file. If you do not have Adobe Reader, visit the University Help Desk’s Web site to learn how to download it.